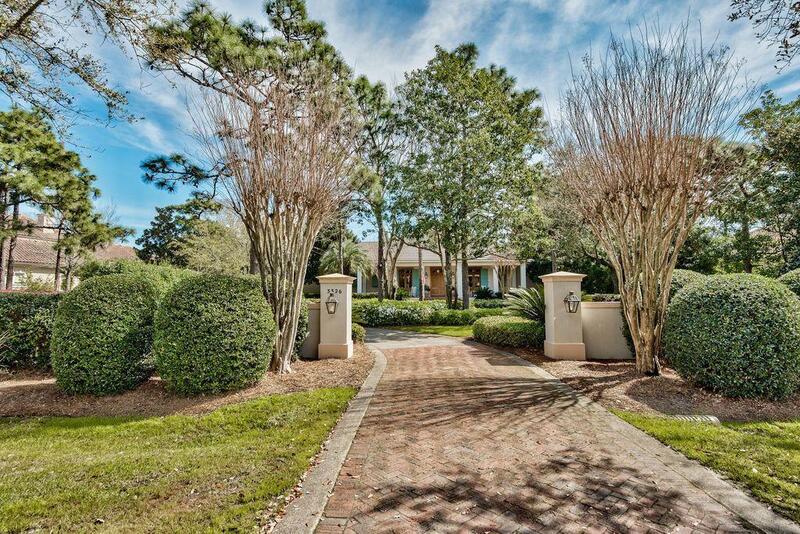 This exceptional Southern-style home with bay views and a 3 car garage is on a very private estate-sized lot. 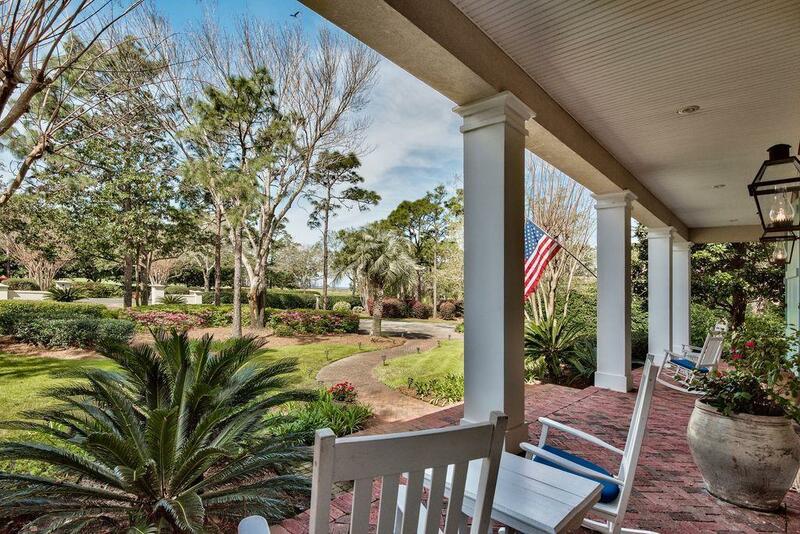 Enjoy sitting in a rocking chair enjoying views of the bay through the established magnolias, azaleas, camellias and crepe myrtles. Inside, the modern open floor plan reveals the spaciousness of this elegantly designed home. 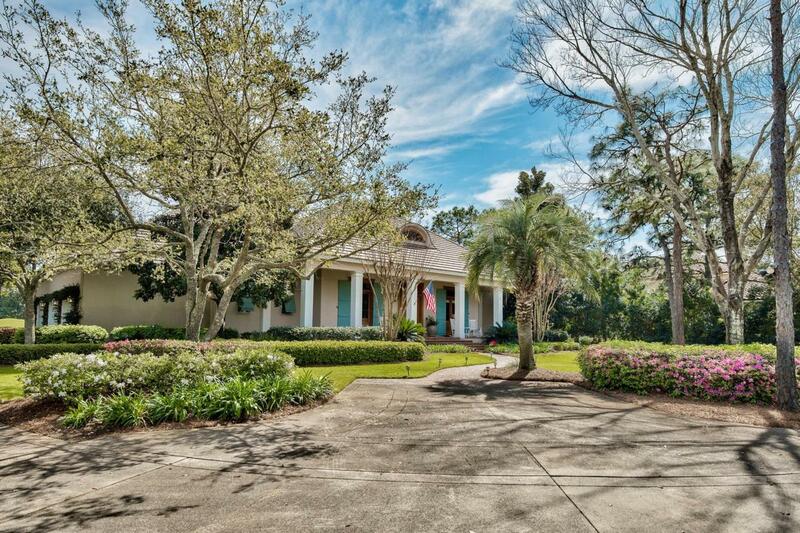 Twelve foot ceilings in the great room are held aloft by white columns set on travertine floors, a wonderful gathering place for entertaining family and friends with views of the lake and 17th hole on Burnt Pine Golf Course. 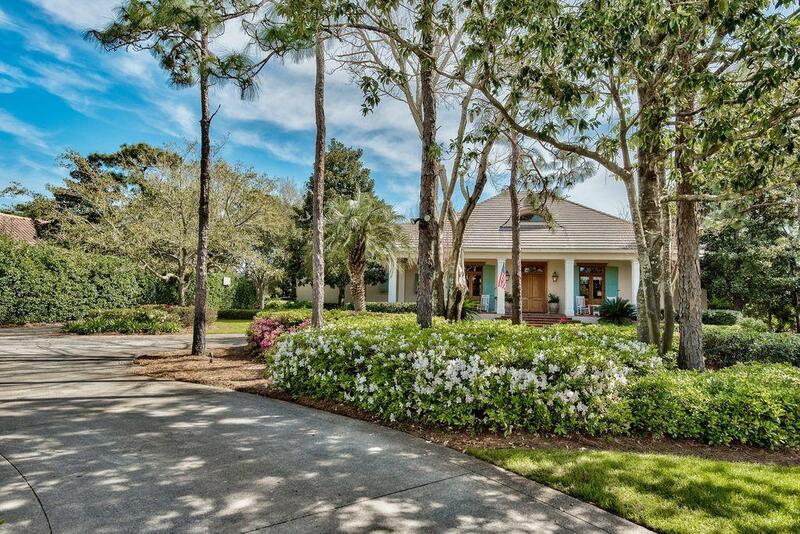 Extensive screen porches and outdoor patios provide peaceful spots for relaxing and watching blue herons and white egrets picking their way around the water's edge.The formal dining room is graced by a glittering crystal chandelier and wall sconces. The equally impressive designer kitchen is fully equipped with an oversize island and an adjoining space for casual dining. Retire to the master suite which has a well-planned dressing room with six closets and a luxury bathroom with dual vanities and a whirlpool tub. The staircase leads to two bedrooms, both with private ensuite bathrooms. A second sitting room provides space for hobbies, TV or additional beds for guests. Doors open directly onto the upper balcony for enjoying pristine morning views of the lake and gentle breezes. Set inside the prestigious gated community of Burnt Pine, this residence is short golf cart ride to all the coastal amenities of the Sandestin Resort - a 2,400-acre resort with beautiful white sand beaches, four championship golf courses, a world class tennis complex, a 113 slip marina, nature trails, kayaking, tubing and standup paddle boarding and the pedestrian Village of Baytowne Wharf and Grand Boulevard with full range of shopping, amenities, and dining.